The answer to that question:- WE HAVE BEEN VERY BUSY. Sad to say due to circumstances outwith our control, perhaps the age factor being the greatest cause, the few committed volunteer members are finding it difficult to meet the increased work load generated by the success of the House of Memories, Community project. Visitors continue to arrive at 55 High Street, to view our permanent display of items and photographs relative to the Heritage of an Angus Burgh. Our talks and events are popular and well attended by both members and non members. The website continues to be viewed with worldwide interest, and acts as an information centre for many planning visits to the area. The House of Memories has been opened during the eve­ning, by arrangement, at the request of groups. Fund raising activities continue and we are sincerely grateful to all who contribute to the financing of 55 High Street as a Link to the Past. We will never forget their noble deeds and inspiring example..
how it set the tears starting. But sleeping dead in their lonely graves. They never come back again. 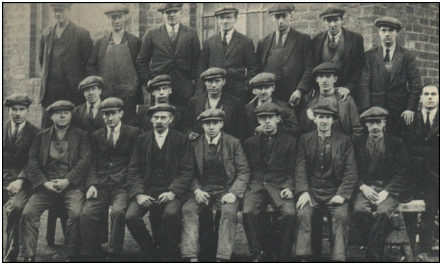 Monifieth Foundry has contrib­uted freely in men and money during wartime. The industrial resources have been exploited to help the country in it’s hour of peril. Managing the day to day running of the services provided has not been an easy task for Linda Spalding, in charge of the day to day management. Sadly the number of volunteers, who ‘man the desk’ has for several reasons diminished. Main cause the ageing process of those involved . TWO Hours of your time. Come as a couple, or with a friend. No special talents required, however, those who have already volunteered have discovered they do enjoy meeting very interesting people “frae a’ the airts” who visit Monifieth. Our programme of talks & events, are well, attended and enjoyable social occasions.